Himself a native of Peru’s Q’ero provinces, Juan Nuñez del Prado first met the Q’ero as a young boy in 1955 when his anthropologist father, Dr. Oscar Nuñez del Prado, found the ancient culture hidden in the highest altitudes of the Andes Mountains. There began Juan’s lifelong devotion to Andean spirituality and supernatural realities. Following the legacy of his father, Juan Nuñez studied anthropology at the University of Cusco in Peru, teaching, researching, immersing himself in the Q’ero world – becoming in time the first outlying initiate of their revered shamanic tradition. He embarked on 30 years of study with three major indigenous shaman, including Don Benito Qoriwaman; plus numerous other masters including Don Andres Espinoza, Don Melchor Deza, Don Manuel Qispe, and Don Mariano Apaza. Wholly dedicated to the sanctity of long-preserved Inkan practices, Juan Nuñez del Prado evolved into a leading shaman within the Q’ero community, emerging as the preeminent global teacher of Inkan enlightenment. In keeping with the supreme Inkan principle of Ayni – reciprocity – Juan continuously shares the sacred Inkan teachings around the world. He introduced the Q’ero to all the main European teachers, including Alberto Villoldo and Parisi Wilcox— and shares his work with all humans who have intention to grow spiritually. Juan Nuñez del Prado connects across cultures, often integrating the undistilled essence of Inkan wisdom with sophisticated psychology, modern astronomy, and world religions. 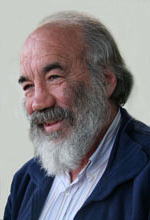 Yet, true to Andean simplicity, he teaches without fanfare – no major publicity or glossy books, but with the intent of delivering teachings intact, through authentic content he has condensed into a system of courses over a lifetime. Known for his straight style, Juan translates Q’ero teachings with unfiltered candor, keeping the essential integrity of the heritage without the trappings of promotion. Under the guidance of Juan Nuñez del Prado, initiates learn to “walk with living energy,” grounded in personal power, in harmony with the universe. Through the processes of spiritual exercises, they access the human seed of potential within. Through initiations and ceremonies, in connection with spirits and sacred landscapes, spiritual explorers of every background initiate profound lifelong transformation with one of the world’s most important spiritual teachers. Juan will be teaching his complete set of courses Oct 28 - Nov 5, 2017. We are pleased to host the world's leading expert in Andean spirituality. Join us for an amazing teaching in energy medicine. Oct 28 - Nov 5.